Okay, maybe she’s not a royal, but Colu Henry certainly knows a thing or two about pasta. Her cookbook, Back Pocket Pasta, is a celebration of the stuff we love so much. 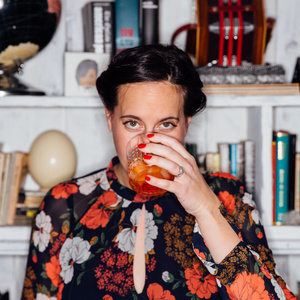 The former director of special projects for Bon Appétit, Colu is a writer, recipe developer, and occasional PR maven. She’s joined by special guest host Jane Larkworthy, longtime journalist, beauty editor, and the blogger behind The Fraudulent Chef. Jane is also a contributor to Elle Decor, Coveteur, and Wealth Simple. In addition to loving pasta, both women adore their dogs, Josh (Colu’s pup) and Remy (Jane’s).